Wilmington, N.C. – Commercial real estate firm Cape Fear Commercial is pleased to announce the sale of nearly six acres of land off Market Street in Wilmington, North Carolina. 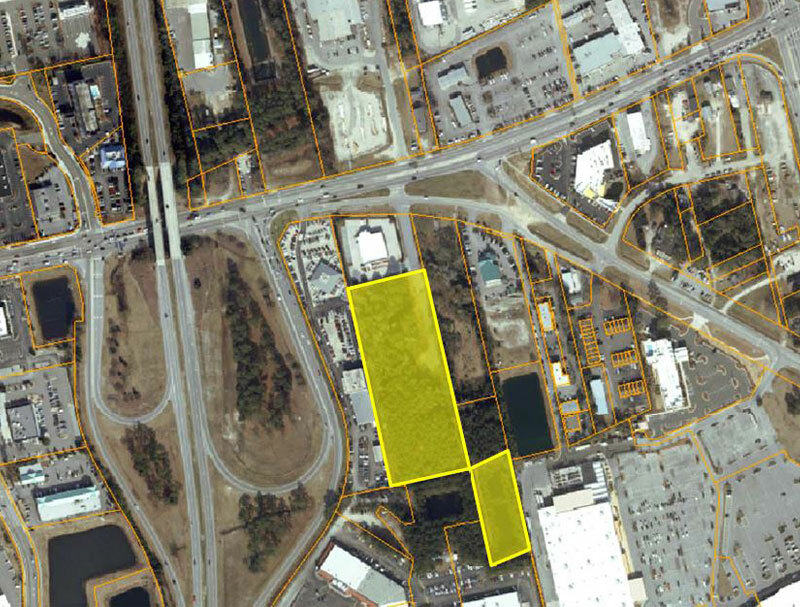 The 5.73-acre parcel, located at 5414 Market St. behind the ABC Store, sold in late December for $1.2 million. Spruill Thompson with Cape Fear Commercial represented the buyer, The Berry Company LLC, in the transaction. “After an extensive search of the market, we were excited to close on this site. With great visibility and being highly accessible to roof tops, it provides an ideal location for a climate-controlled storage facility,” said Thompson. Paul S. Loukas, also with Cape Fear Commercial, represented the seller in the transaction. Based in Wilmington, North Carolina, Cape Fear Commercial LLC, is a boutique commercial real estate firm that provides targeted brokerage, property management and development services. The firm helps owners, users, developers and investors to successfully navigate the real estate market and is consistently recognized as an industry leader for the unique perspective it brings to every project. For more information, visit www.capefearcommercial.com.